Hello U Create! We are liZ and Elizabeth, two girls who married brothers and ended up with the same name. 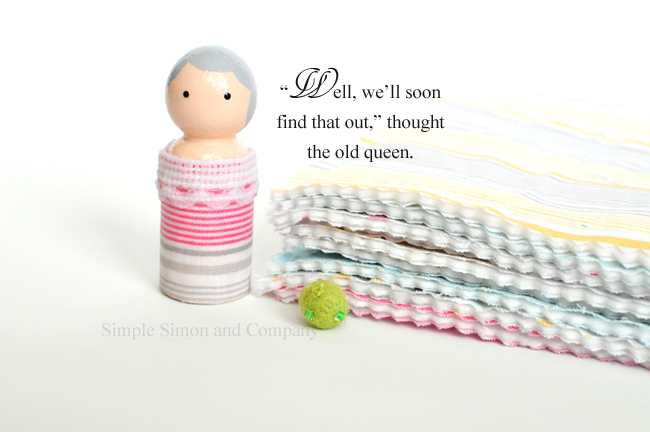 We blog at Simple Simon and Company, where we love all things sewing, crafting, and the art of homemaking. 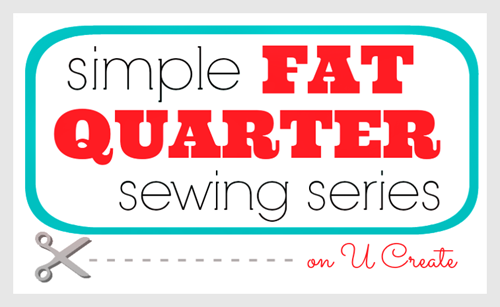 We are so excited to be here at U Create today sharing all things fat quarters….well, because we LOVE them. 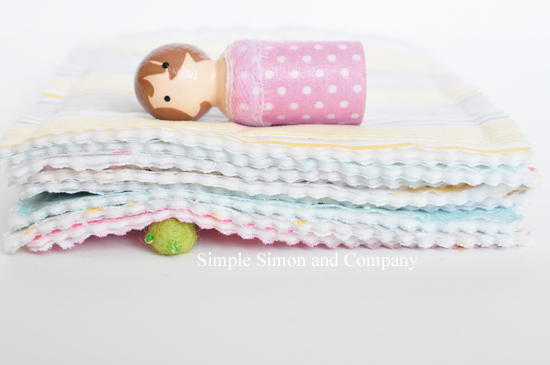 Another thing that we love at Simple Simon is simple easy (but useful!) projects that can be completed in an afternoon but yet be enjoyed for hours. 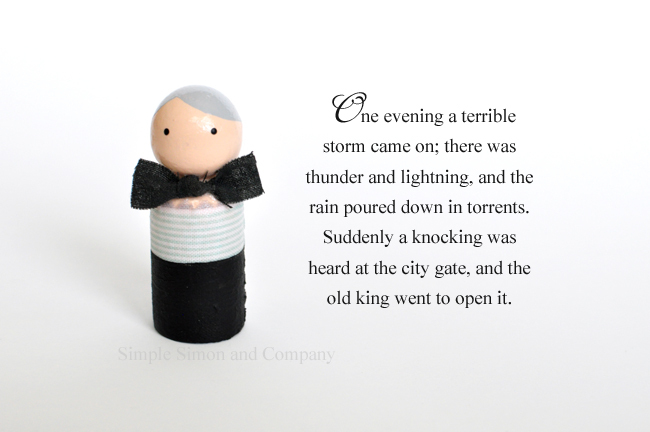 And this is definitely one of those projects that has already been played with at our house for hours on end and is perfect for creative imaginations. Would you like to make a set too? We’ll show you how…..and we promise it is easy. Let’s quilt the mattresses first. Step 2: Place 1 fabric right side down, batting in the middle, and last piece of fabric right side up. Step 3: Sew a 1/2 inch seam all the way around the mattress. Use pinking shears to prevent fraying. Step 4: Quilt straight lines down to mimic the mattress (I did 1/2 inch lines). And your mattresses are done! 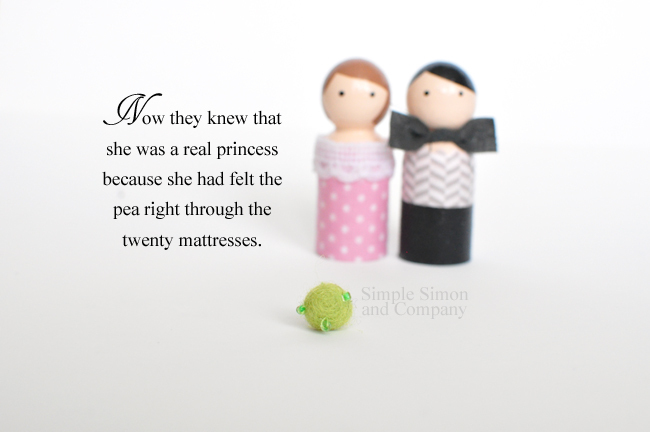 The pea was purchased in a set of felted wool balls that are available at most craft stores. 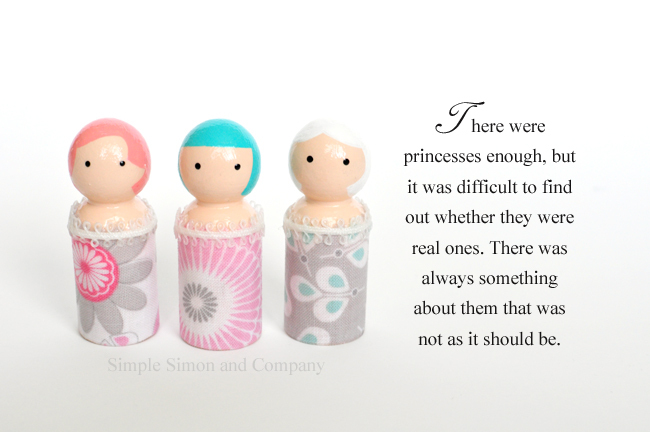 Click here for the PEG PEOPLE PAINTING tutorial. 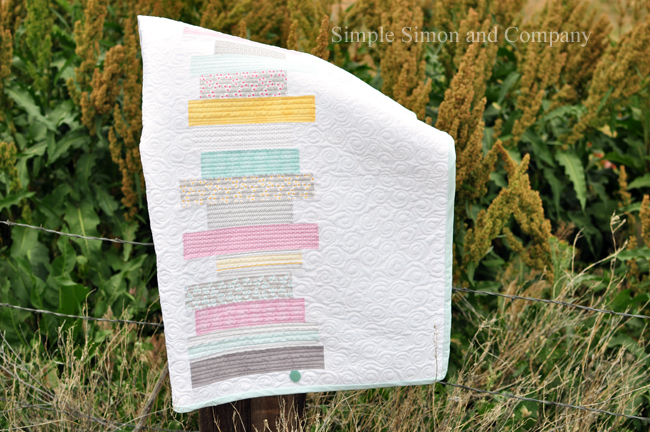 And because once we get started on a theme and because we had so many leftover scraps, and the real fact that we can’t quite leave it alone….we have included a quilt tutorial over at Simple Simon and Company that you can make too! (And we promise it’s easy—pinky swear that even a beginner sew-er can make it!) 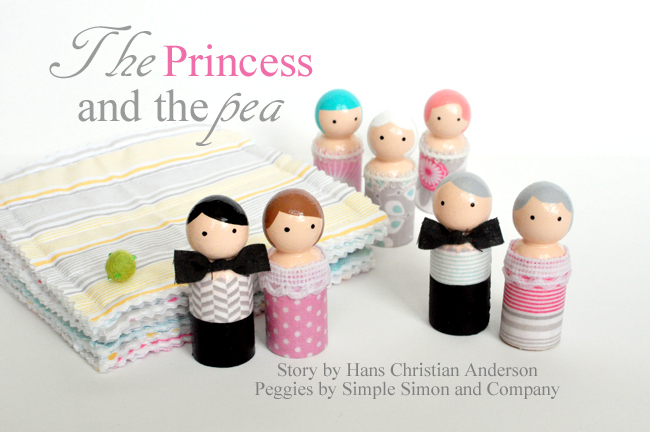 And there’s even going to be one more Princess and the Pea project tomorrow (that we are dying over—they turned out so cute). Thanks Kari and Becky for having us today! 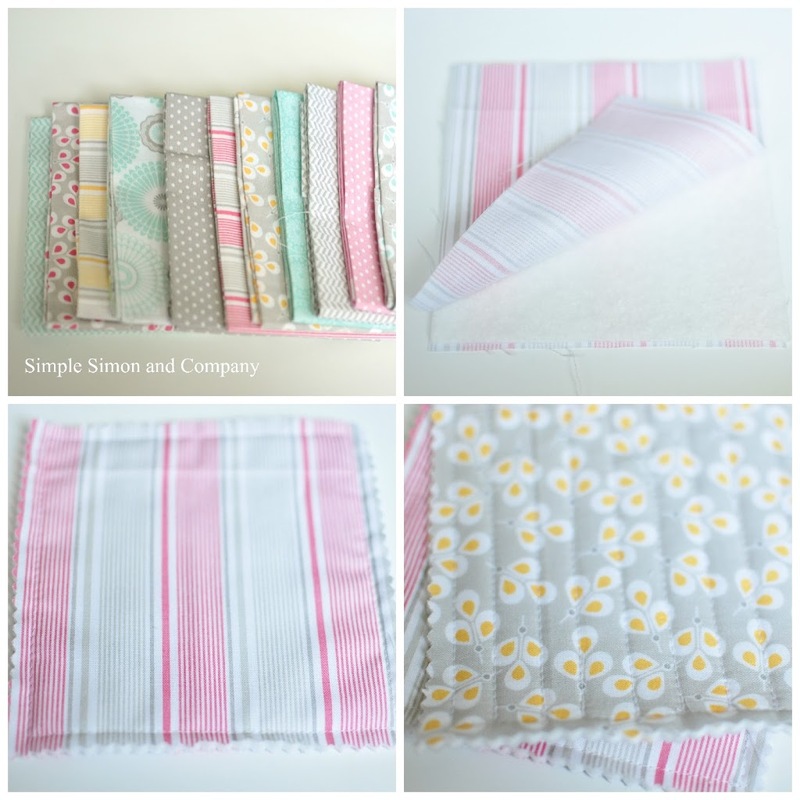 Previous Post: Reversible Fat Quarter Potholders by Create. Craft. Love. My girls would freak out to have this set! Absolutely adorable!! Love you gals!!! 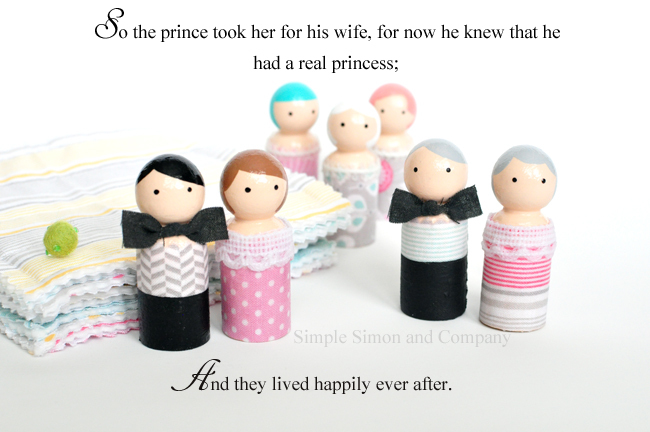 Thanks so much for sharing this ADORABLE idea! 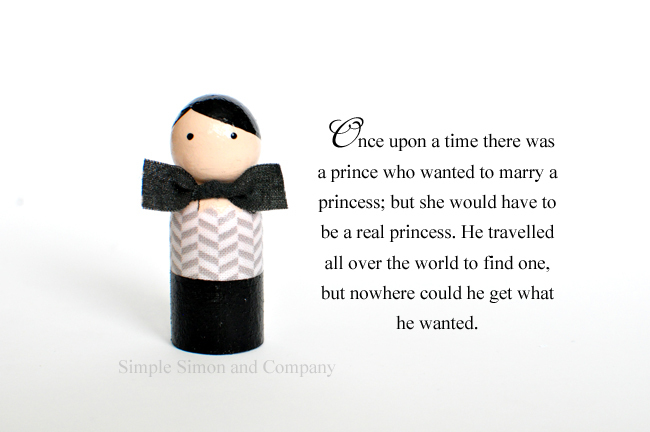 That is so so cute! Just amazed at the creativity! 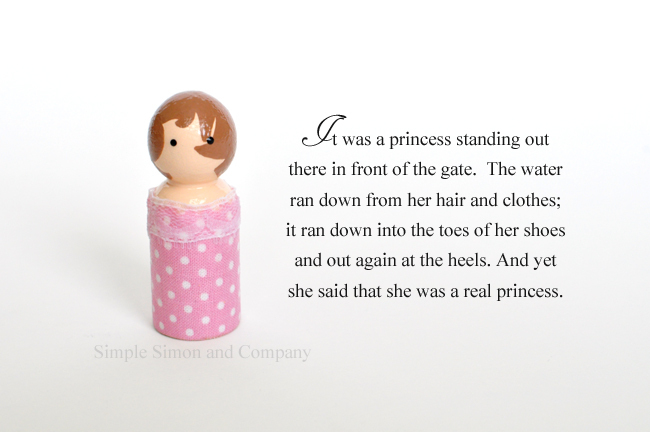 So Absolutely, Adorable and Fun!!! 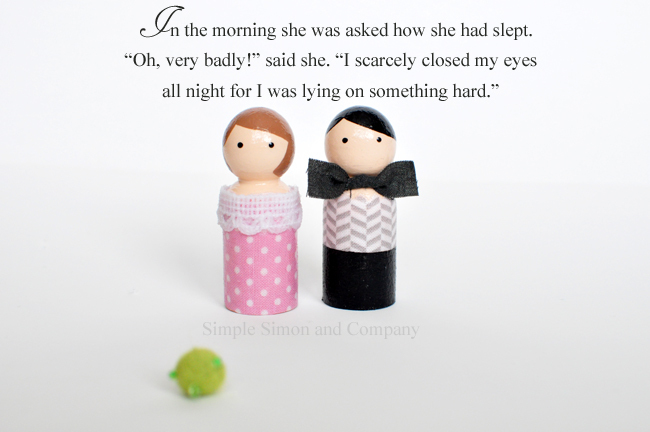 Totally clever and fun! You are both clever and amazing. Is there a direct link for the quilt tutorial? I clicked on the link above but it took me to the front page of the website. 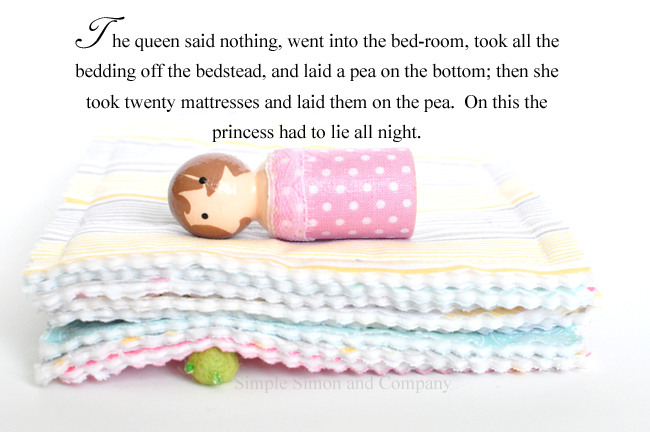 I searched for “Princes and the Pea” and also did a generic “quilt” search but nothing came up. It’s adorable and I’d love the instructions for it. Thanks!